Oh, the things us sports fans would cringe at if we saw them. Derek Jeter in a Red Sox uniform. Aaron Rodgers in Bears gear. LeBron James in a Lakers jersey...oh, wait! 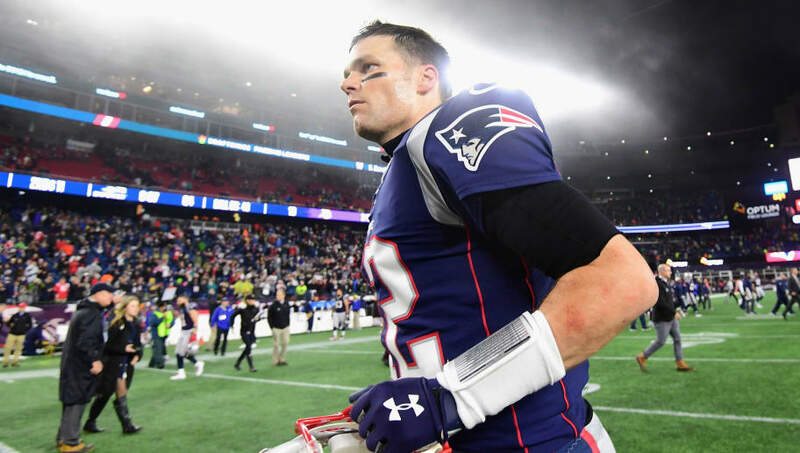 Anyway, the point is that we often can't stand the idea of our most prominent players donning the apparel of their rivals or otherwise disliked teams, and that's why this Tom Brady bet is so cringeworthy. The ​New England Patriots quarterback, who we all know is a Michigan Wolverine, bet on his squad to beat the arch-rival Ohio State Buckeyes a couple of weeks ago. He was wagering against teammate Nate Ebner, an OSU alum, with the loser having to wear a sweater for the opposing team. Tom Brady said he had to wear an Ohio State pullover after losing a bet to Nate Ebner over the Buckeyes-Wolverines game from a few weeks ago. OSU dominated Michigan 62-39, ending their hopes of making the College Football Playoff and dooming TB12 to don the hated Scarlet and Gray. The feeling must've been surreal for Brady, for which the concept of losing is so foreign. However, lose he did, and it must've been embarrassing as hell. Oh well, Tommy boy. Thankfully, there doesn't seem to be any images of Brady donning the hoodie, so at least we don't have to cringe out of our minds upon seeing it. Just the thought is still pretty bad, though.